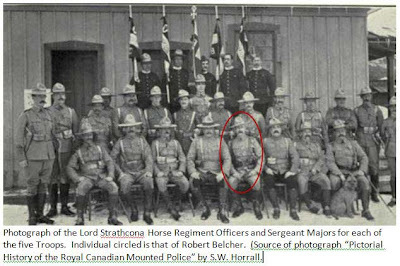 Corporal Ernest Harris signed up for the NWMP in Regina in 1893 and was sent to the post at Tagish on January 10, 1898. After two winters, he went to Skagway on leave in August 1899. It was paradise compared to Tagish. So, he decided he did not want to go back to Tagish. He became ill on March 15, 1900 so Dr. I.H. Moore did an emergency appendectomy on him. Luckily he survived that, but his NWMP Superiors in Tagish were not amused. 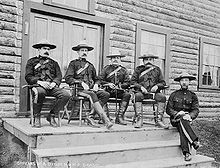 So they sent Dr. Pare of the NWMP to Skagway to examine him, which he did, and reported that indeed, poor Harris could not travel. Supt. 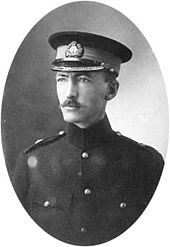 Steele wanted him declared a deserter on April 6, 1900, but when he received a letter from Dr. Moore, he relented until May 29th when he said that unless Harris went to Tagish he would call him a deserter. On June 30th Harris finally returned to Bennett and Tagish at which time Steele had him examined by Dr. Pare. So, in June 1900 Z.T. Wood finally declared him a deserter from August 26, 1899 which would prevent him from receiving pay from that time until 1900. 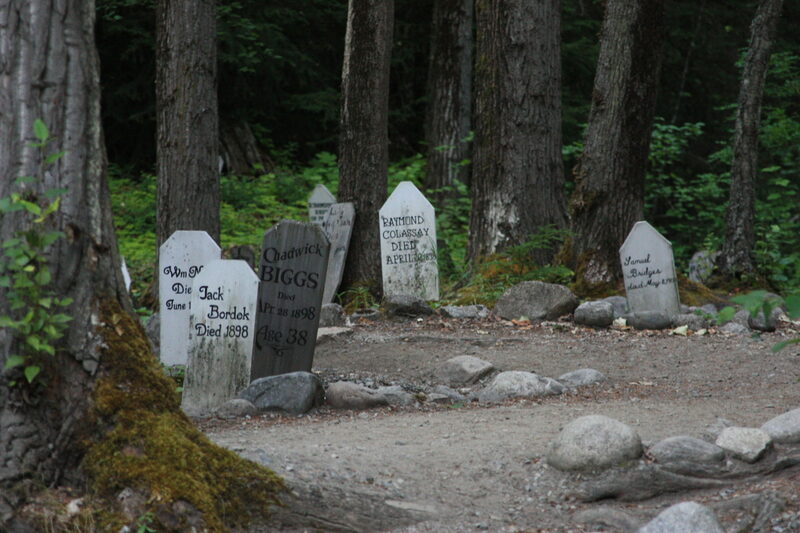 What became of poor Harris, we don’t know, but if given the choice of spending another winter at Tagish or in Skagway, one can certainly sympathize. library and archives Canada on the NWMP personnel records online. Mae Field was born in Ramsey County Minnesota in 1873. Her birth name may have been Mary Lavinia Sullivan born June 20, 1873 in Ramsey but I can’t be sure. In any event, she was quite famous in the north. When she married Arthur Daniel Field in Hot Springs, South Dakota in 1897 she had already been married and divorced. Arthur was ten years older and had some wealth derived from bootlegging and brothels. The couple decided to go to Dawson to mine. They were able to get their mining equipment over the Chilkoot Trail, but lost most of it in Lake Lebarge in a storm. 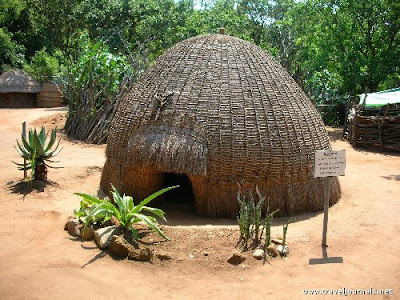 Arthur staked claims and got a liquor license, just in case the mining did not work out. Mae decided to return to balmy Minnesota for the winter. When she got to Skagway the only boat available was the somewhat dubious “Georgia” which she decided to take, despite no one else taking the chance. Her luck held, but on returning to Minnesota, her mother told her to go back to her husband. So she did. After many adventures and working as a nurse, a babysitter, and a dancer. She later had a rooming house, but she always seemed to live well and have money. 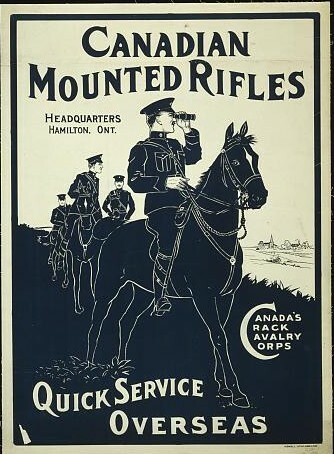 She moved to Vancouver in 1911 after her husband left her and the Mounties found her in bed with an unmarried man. 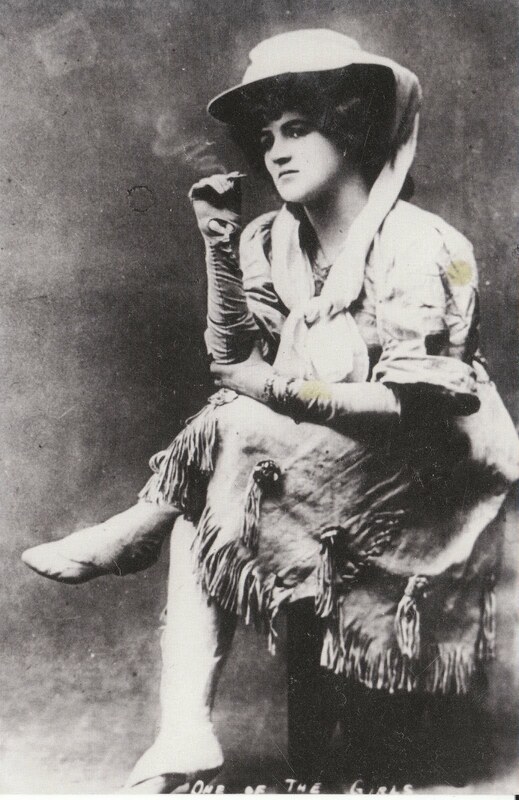 (Hmmm) Although they were never able to prove she was a prostitute, the Canadians imprisoned her for six months and told her to leave the country. She eventually settled in Ketchikan where she was living in the 1940’s helping the Sisters of Mercy, orphanages, friends and the poor. Seen above, Mae Field during her Dawson days. Good Time Girls of the Alaska-Yukon Gold Rush by Morgan; Rebel Women of the Gold Rush by Mole; familysearch. Doctor Leonard Sugden was born in June of 1873 in Scotland. He first came north on a whaling vessel and practiced in Juneau. In 1897, he headed for the Klondike but had to winter at Marsh Lake, where he built a cabin and worked as a doctor for the NWMP. When the real gold rush began in 1898, he helped pilot boats through Miles Canyon and the White Horse Rapids. Dr. Sugden stayed in the Yukon. He was the inspiration for Robert Service’s poem, the Cremation of Sam McGee when Service heard of the story of Dr. Sugden hauling a corpse to Tagish and contacting the family in Tennessee to get permission to cremate the remains. Sam Steele mentioned in his memoirs that Dr. Sugden once hauled a woman 100 miles on a sled to get her to medical help and safety. Dr. Sugden married in 1906 and moved to the Kluane area where he mined, hunted big game and bought a Prizma movie camera. 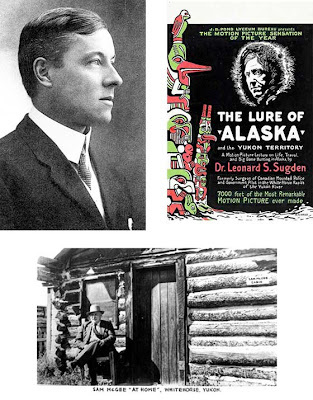 With it he produced, in 1915, a film called The Lure of Alaska which played to rave reviews across America and Europe. The film includes shots from the Seattle harbor and along the coast of Alaska and features scenes of Juneau, Sitka, Skagway, a midnight baseball game in Dawson City, a caribou herd swimming in the river, and icebergs calving from glaciers. The movie also includes scenes of Sugden piloting a raft through the Whitehorse Rapids. Unfortunately, Dr. Sugden’s life of adventure ended suddenly in 1923 when he fell off a barge into the Stewart River near Mayo and drowned. He was 50 years old.